In this episode, Meiko proves to be the embodiment of every kid who wanted to be a digidestined and have their own partner Digimon. Only the real version, not the kid you pretended to be in your fanfics. With no real action to speak of in the first half of the movie, it’s not like we needed any downtime to slow the pace. But it’s been a tense ride so far, so it doesn’t hurt to have a bit of levity heading into the final battle. Then, now that everyone else has their say in the Meiko situation, her own words and the particular aspects she struggle with emerge. While the source of the grief is questionable and some of her conversations don’t pack as much punch as they could, we now have the fullest picture yet- of the digidestined many of us would be, but the one none of us want to be. It isn’t informative the way the establishing scenes of movie one or the bathhouse trip in movie two are, but tri. hasn’t forgotten its purpose of allowing these characters to express themselves while having fun. Takeru’s insistence on telling scary stories comes out of the blue and the nature of it is a little too structured for our purposes, but there’s plenty to enjoy. Yamato being unable to handle it is a fitting twist on his character, gives the others plenty to whisper about, and shows off his neat tic of picking bass lines in a panic. Everyone oversells Meiko’s story, but it does remind us how her childhood is so foreign to the eight. Small towns are creepy, and even a descriptive account of a true story is enough to give them chills, even if the creepiest thing about Tottori was probably Meicoomon herself. The first few movies did their damnedest to integrate Meiko into the group. Coexistence isolates her and shows that no matter how much the others insist on including her, she’s different. While others make sweet, comforting calls to their family, Meiko’s dad is all business, leaving her assuring him that the others are taking care of her and apologizing for letting Meicoomon loose. Her accent is another sign of her being an outsider. She won’t even use it around her father or Meicoomon, much less the local digidestined. When she speaks aloud to herself differently than she speaks to anyone else, we have to deduce that she’s not comfortable being herself around others. Usually this is where the Digimon partner comes in to open her up and mentor her through this sort of stuff. That Meicoomon never did was an early warning sign. Ever imagine yourself with a partner Digimon? Someone that would be your pal for life, help make you a better person, and could seamlessly integrate into your regular routine without major incident? That’s the genesis of Meiko Mochizuki- the desire for a partner with no strings attached. And unlike Tamers, where crowded city life and frequent wild ones tested them early, conditions were ideal for Meiko to stay blissfully ignorant of the implications of having this partner. Also unlike Tamers, where the whimsy of the digignomes made so much happen, there’s always a reason for this sort of thing. Now that she’s realized she had been tasked to keep Meicoomon balanced, she feels like a failure and wonders why she would be chosen for something that impossible without knowing it. When Taichi overhears this conversation, he isn’t able to help much. His musings about children and adults being able to perceive different, independent things are worth pondering, but isn’t that relevant to Meiko’s problem. Meiko’s in a serious existential crisis and needs guidance, not philosophy. She’s got Mysterious Man’s taunts about how she never should have been born in her head too. Considering how dismissable so much of that guy’s ranting has been, this particular one landing goes somewhere a little darker than we needed. Just having her question why she was chosen is sufficient; no need to make her question why she’s alive. It sets Taichi off, ending the therapy session early and sending him off to his own. While Agumon’s simplistic mentality was appropriate enough for BlackWargreymon overthinking his fate, it feels totally inadequate for more tangled problems like Meiko and Taichi’s. At least his assurance that he likes both Meicoomon and Meiko was affirming enough. Not that it helped. Once Meicoomon invades again, Meiko still doesn’t have an answer. Hikari had told her to be Meicoomon’s hope, but Meiko only wants to take her share of the blame. She can tell Meicoomon is scared, backed into a corner by eight strong Digimon, plus Jesmon once Homeostasis insists on taking care of the matter itself. While her stand in Loss insisted she’d love Meicoomon no matter how awful she was, now she demands the reverse- for Meicoomon to let her have it for being an awful digidestined. Bold gesture, but it’s not at all hopeful, nor does it do anything to calm Meicoomon down. They’re both awful messes. In that situation, most of us would be. Hikari’s line about not grasping the reality of something unless it’s in front of you is not only thoughtful, it may help offer some explanation to why they aren’t treating the situation with the 02 kids with as much urgency as they perhaps should. They have enough on their plate to worry about right now, and since it isn’t in front of them, using Maki’s half-answer as an excuse to not deal with it feels like an uncomfortably human rationalization. Just as they did when they ran from the police, arousing extra suspicion, they all follow Taichi’s lead when Daigo wants to move them to a hotel. Mimi, Yamato and Joe all say they’d rather have nice beds and showers (and no more scary stories) but all go along with Taichi without much objection. Even with few words, there’s so much character in the phoning home scene. Mimi and Sora support each other, Yamato’s still uncomfortable talking to his mother, and Mrs. Yagami is more concerned about the Digimon than Taichi. 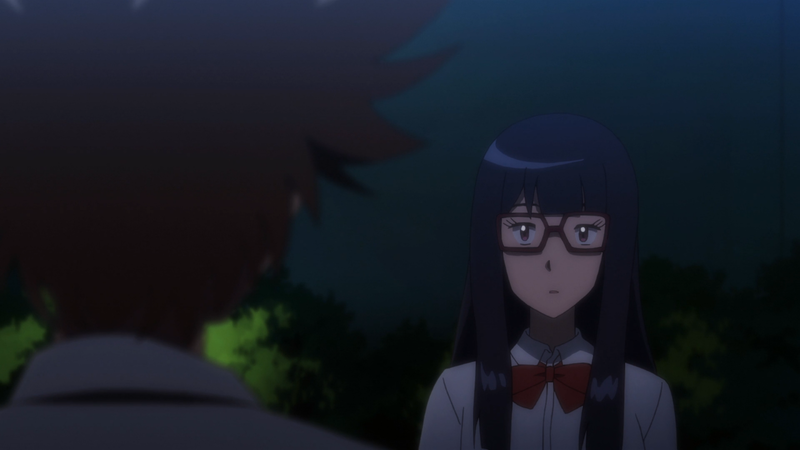 To her, it’s Taichi’s job to protect them and Hikari. Let’s keep that in mind. So not only does tri. 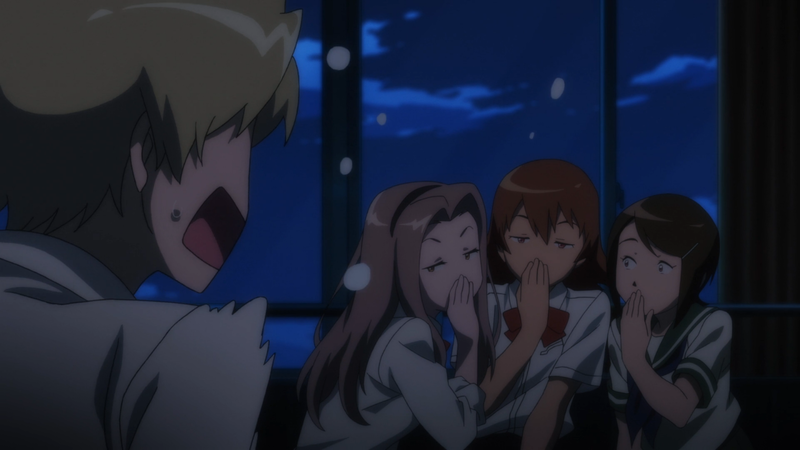 throw in little bits of ship bait for random pairings, now it’s even getting meta as the Digimon wonder if they need to alert their partners that Taichi and Meiko are talking alone. The annoying nonstop evolution sequences in Loss made the use of a mass split screen here that much more satisfying. Not that it excuses the endless evolution sequences in Loss. Enjoying Digimon: System Restore? Support the site by buying me a Coffee! Labels: Meiko, movie, that's suicide, tri. It seems that Takeru wants to use the scary stories to lighten the mood, since all the Digidestined were depressed by the words of Hikari. Why this is a little too structured? Hikari's line about not understanding a tragedy unless it's before you is very powerful and kind of took me by surprise. It's definitely one of the more memorable lines from tri. Meiko's conversation with Taichi convinced me she's supremely depressed. She is, as you say, an awful mess. It makes her all the more tragic and frankly pretty relatable. I'm glad the writers "went there" so to speak but as for *how well* it's handled... well, I think I'll need to rewatch part 5 and probably wait on part 6 to get a proper answer on that. As an aside Juri in Tamers was very similarly traumatized & depressed, and I think it was written quite well. "Mrs. Yagami is more concerned about the Digimon than Taichi. 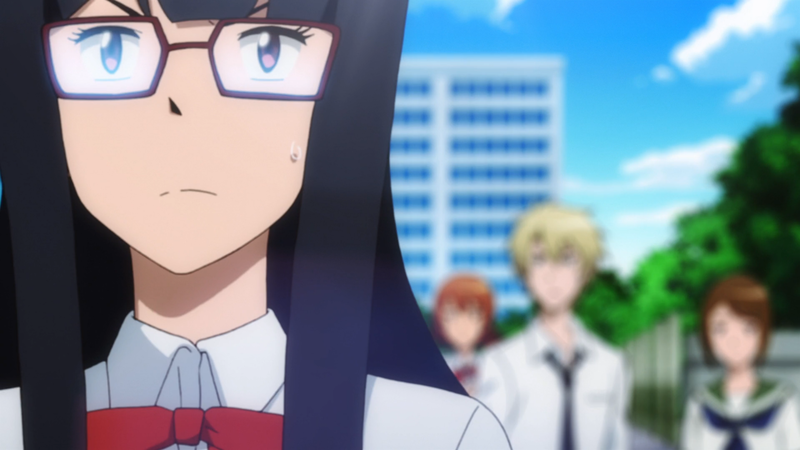 To her, it’s Taichi’s job to protect them and Hikari." This is probably the whole foundation of the relationship between Taichi and Hikari. I wouldn't be surprised if, since the time Hikari ended up in the hospital "because" of Taichi, Mrs. Yagami had been subtly guilt-tripping Taichi into looking after his sister.